Early this year, January at the New York International Gift Fair, and February at the Buyers Market of American Crafts, I introduced my wholesale customers to a whole bunch of new products. While I love all of them, I particularly love the light switch plates (and I'm probably going to say that about each of the new products I introduce here, because creating things is awesome and fun). I personally love surrounding myself with beautiful and thoughtful things. I learned early on in elementary school that my definition of art is wider, or maybe just different, from most people. I love functional art. Photos and paintings and other fine arts are great, but functional art takes the cake for me. The pottery in my cupboard, each of my wooden spoons, the quilt that my mother made me, and the bookshelf that my father built for Christmas are all a part of my daily life and each one is a work of art in my book. Because of this personal philosophy, I love creating things that can perform a similar function: giving everyday objects a personal and thoughtful history. 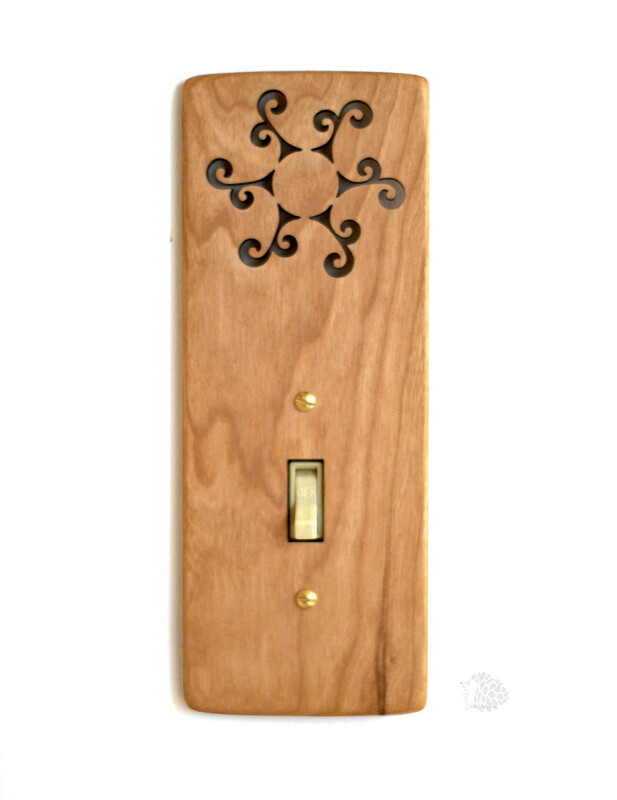 Unique light switch covers are functional, beautiful, and small enough to bring with you if you move a lot. They don't require putting extra holes in the wall, and they can be an instant conversation piece. They make a wonderful housewarming gift and wedding gift.